Why wasn't I invited? 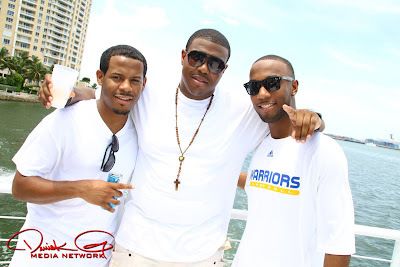 Come on Udoh save the Yacht parties for after having a good season. You can't celebrate until you deliver, ask Jamarcus Russell. I hope you are working towards rehabilitating and getting better. God knows the Warriors need you. Well, the girls don't need lifejackets, thus saving money for the charter. It isn't Ellison's boat obviously. 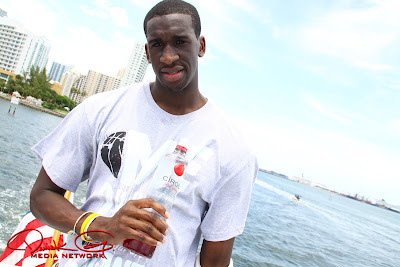 BTW, shouldn't Udoh have a cast or something? Damn look at all those LIGHT SKINNED HONIES!!! When i grow up (if i grow up) i'm gonna be a professional basketballer!!! PAWNO wrote: Damn look at all those LIGHT SKINNED HONIES!!! One of the first things that came to mind was this; so many light skinnnnededed hoes, I mean honies, specially one in the thong looking like Rhihana's evil step sister, but on a serious note enjoy yourself rookie, but not now, your injured your making the wrong impression with a Ciroc Vodka (like diddy needs more promo) and not a gatorade bottle. Yes, but he got a bunch of hot women to be on the boat. Hmmm. Maybe they are all in the chess club together. I am showing my age, but for some reason I keep thinking Tom Vu should be on that boat somewhere. hobbes wrote: I am showing my age, but for some reason I keep thinking Tom Vu should be on that boat somewhere. Lol, I could see why, this guy was pimping back then.